It's 1988 and Dexter Mayhew and Emma Morley have only just met. They both know that the next day, after college graduation, they must go their separate ways. But after only one day together, they cannot stop thinking about one another. 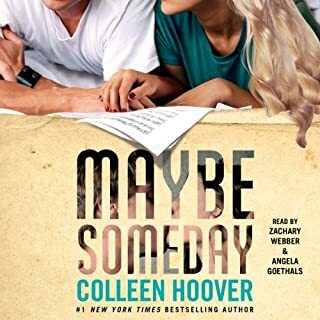 As the years go by, Dex and Em begin to lead separate lives—lives very different from the people they once dreamed they'd become. And yet, unable to let go of that special something that grabbed onto them that first night, an extraordinary relationship develops between the two. Over 20 years, snapshots of that relationship are revealed on the same day—July 15th—of each year. Dex and Em face squabbles and fights, hopes and missed opportunities, laughter and tears. And as the true meaning of this one crucial day is revealed, they must come to grips with the nature of love and life itself. Great book, great idea, great premise, however...the ending was what killed it for me. 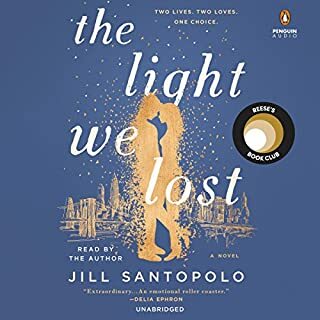 Despite the bad ending, the journey was extremely pleasant and I feel that putting this into the romance category is not doing the book its justice since it implies it's a light read- in reality it is anything but. The romance plot, although always looming in the background, is very secondary. The story is mainly about stages of life that one goes through and how the perspective of life changes over the course of 20 years. Some passages actually made me pause and reflect upon since they were remarkably profound. 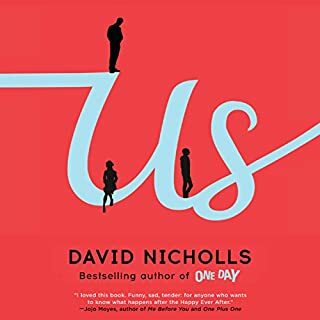 I will for sure try to read more books by Nicholls. I suspect that a great deal of the book's appeal comes from Ms. Bentinck's narration. She did a splendid job with the voices! I love how she did distinctive accents and how just by listening to her voice I knew what Dexter was up to (if he was drunk/felt depressed/happy). Great narrator and I will definitely try more of her books. One Day grabbed me and never let me go. The most engaging, laugh out loud, true to life dialogue I've ever come across. The characters complex and intriguing - I cared so much for these two that I felt a bit lonely after the last page. It also brought back the sweet, sensual nature of letter writing - right back to the scent of the paper. Please please read or listen to it before seeing the movie. The reader, Anna Bentinck, is such a talented actress. She did men as well as Nicholls wrote women. On my top 10 list for sure! I had read a brief review of this book before ordering it on audible. 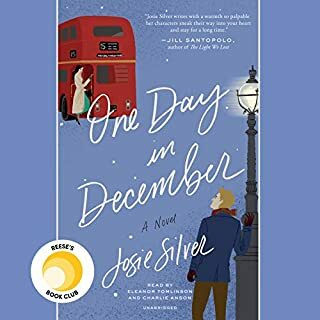 Although I did feel that the first chapter was not exactly my style, I soon fell into the rhythm of the characters and the overall appeal of the 'calendar' for these two main characters. I absolutely LOVED Emma and (sometimes) Dexter ~ and was amazed by the insight of the author into both genders. I also highly recommend the narrator as an additional character in the book ~ she was excellent in her portrayal of everyone. As the plot unfolded toward the end, I felt absolutely bereft, and I grieved for the devestating losses ~ evidence of the real humanity of the characters. I would recommend this book to everyone ~ and I have! My sister and my daughter are currently reading it, and one of my dear friends from London has already completed the book and passed it on to her daughters. One of my VERY favorites in a long time ~ I will re-read it this year! Very engaging. Loved the characters and really hated to see them go. Everyday I looked forward to hearing more of their story. Entertainment Weekly was right on calling it a light but surprisingly deep romance. It's one of those stories where you get totally involved with the characters and they become like family and then you miss them when they are gone. I even got to liking the narrator who I did not care for much at all in the beginning but she grew on me. I came to appreciate how good she is with the different accents of each of the characters. It's a very engrossing modern day story of a relationship that endured time without having to rely on name dropping of it restaurants or designer clothing and watches like some do. And it's a book whose characters stay in your head weeks after you finish it. It's one I think I would enjoy listening to again. I very much enjoyed this meandering tale of two people on very diffferent paths in their lives. Both the timing of the story and emotional highs and lows that you have to live through to enjoy this book suited me just perfectly; but I can understand some of the criticism. It is long. There are parts of it you have to simply live through in order to really understand the characters that at the time will just seem superfluous. And, let's face it, the 1980's and 1990's were a time when whining was allowed. So for those who can listen with patience and the willingness to laugh out loud and blubber occassionally, you'll like this book. THE NARRATOR IS FANTASTIC!! I can't believe I slogged through this entire book, waiting for the characters, especially the guy, to develop some redeeming qualities. This story was very realistic in the worse sense of the word; which is, you get to listen to them suffer and complain about life for the whole story. Then, the ending is very melodramatic without any real point for the melodrama. When the two "star crossed lovers (sarcastic)" finally do get together, there is no real epiphany here. Unless you like suffering, don't bother with this one. I had to give it more than one star, however, because the writing was excellent, and the characters original and, at times, funny and entertaining. I hope the movie they made out of this book is an improvement. 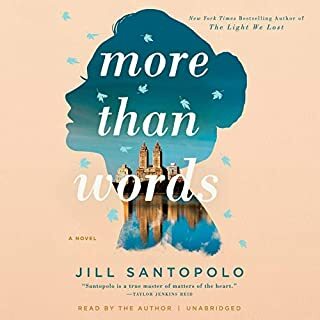 As my fellow editor and One Day fan, Emily, can attest, I couldn’t stop talking to her about this book while I was listening to it. I was initially drawn to the book after hearing so many great things about it, and it wasn’t long before I found myself sucked into it—listening every chance I got in the car rides to and from work, while preparing dinner, and also reading the print copy before bed. 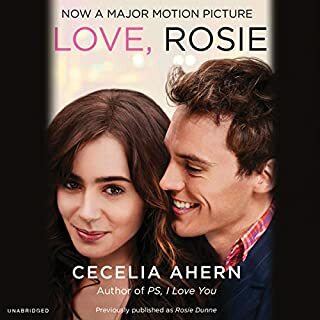 I don’t want to spoil the ending or big moments for you, so I’ll just say that this is one of those grand novels that pull you in and have you rooting for a seemingly unlikely couple: the hedonistic antihero Dex and his brief college lover-turned-lifelong friend Emma. For me, Anna Bentinck was THE voice of the idealistic, feminist, and ever-searching Emma – and captured Dex’s cool and aloof baritone quite perfectly too. 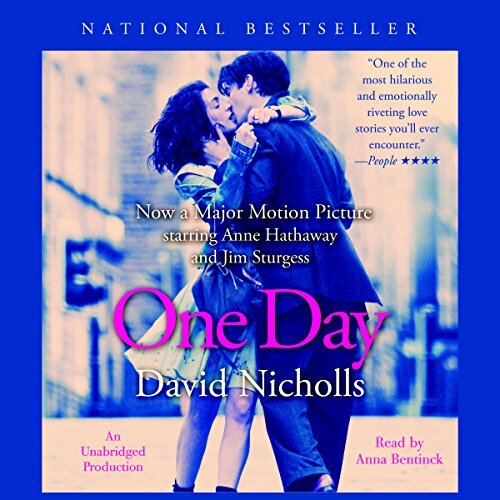 I’m curious as to how Anne Hathaway and Jim Sturgess will interpret their characters in the film of One Day. This book covers many tedious years building up to the expected union, then ends tragically. I don't need another Nicholas Sparks in my life, thank you very much. Books like this should have a warning label on them. Caution: Horrible Ending Ahead. First, let me say that the narrator was spectacular, and really helped make the book addictive. The storyline moves along at a nice pace. I love the concept of peering into the lives of two people on the same day each year, over a span of 20 years. It gives a wonderful word-picture of how people change and evolve through their twenties and thirties. I loved it...laughed and cried all the way through. I would definitely recommend to friends. This book was ok, nothing really special or exciting. I thought the characters were mostly unlikeable. The ending was awful and didn't really fit with the initial vibe of the book. Although this isn't the worst book I've read/listened to I certainly can't recommend it either.